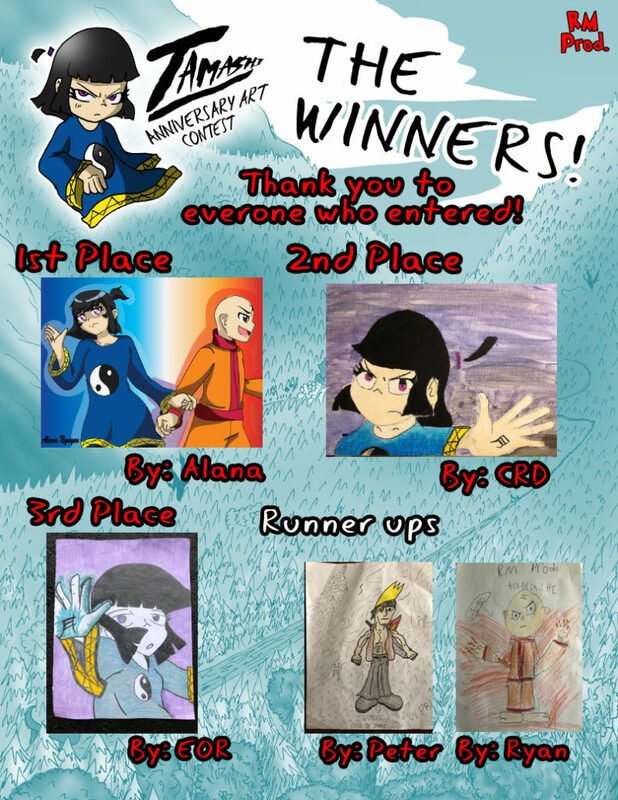 The first Tamashi Anniversary Art Contest is complete! The winners have been chosen and will be contacted shortly. Thanks you to all of the artist who contributed. Tamashi would be nothing without fans like you! 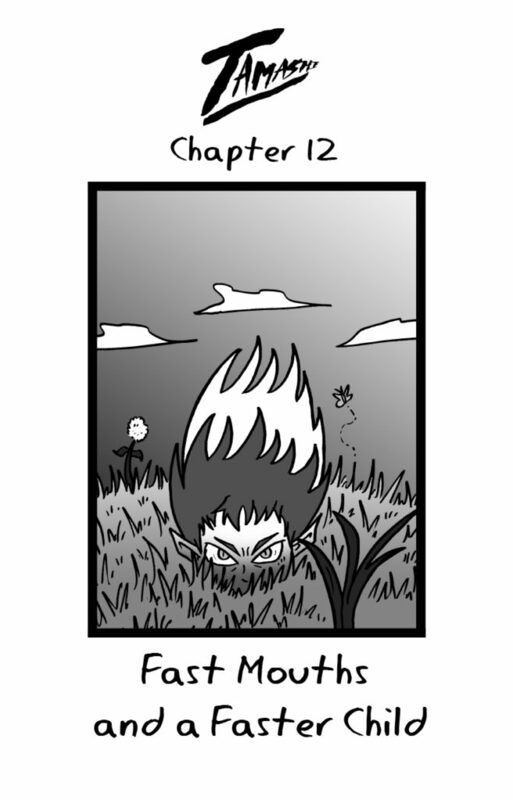 Tamashi Chapter 12 is now live! – A fast mole demon. – Changa scheming once again. – Ghosts. Lots and lots of ghosts. Today also marks the first day in which artists can submit pieces to the Anniversary Art Contest. There’s still time to submit until the 30th. I’ll be looking forward to any entries. 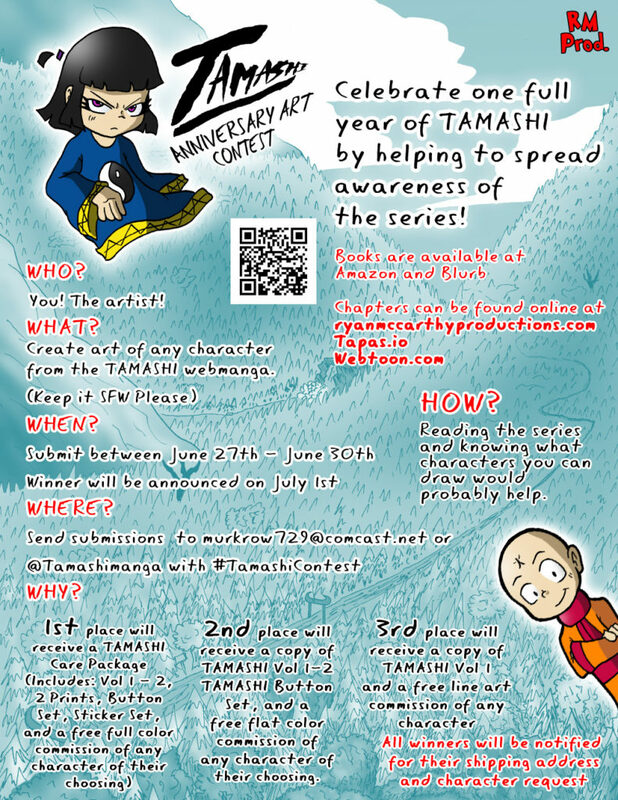 I am super pleased to announce the first ever Tamashi art contest! From now until June 30th, talented artists will have a chance to win a special Tamashi Care Package and free commission by making an art piece of any character that has appeared in the manga so far. All entries will be displayed at ryanmccarthyproductions.com. Read up and put your artistic talents to use! Tamashi Chapter 11 is now live! Alright all you doodle-doos! It’s time to meet the Child of Spirit in this month’s chapter. Don’t get too spooked! 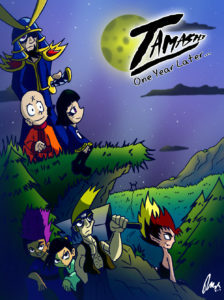 It’s been one year since I began publishing chapters for my manga, Tamashi. 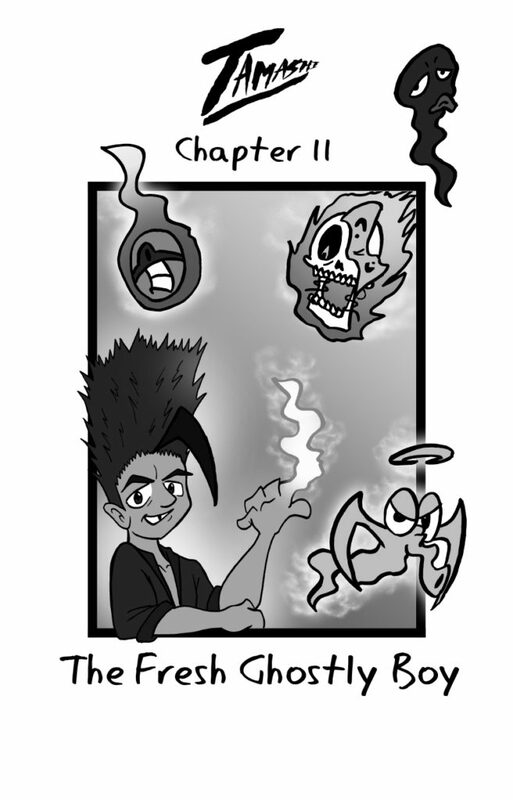 As of next Wednesday (when Chapter 11 goes live) I’ll have made 9 chapters, 2 bonus chapters, and have complied those chapters into 2 physical volumes. I made this new print to celebrate that accomplishment. While I may not have a big audience (yet), I have made a good handful of people Tamashi fans this year. It feels great to have gotten this story that’s been in my mind forever, finally out there into the world. Thanks to all the people who have helped me along. The story has only just begun.